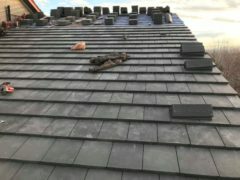 The roof specialists you can trust! Arvada Roofing is a family owned and operated business, serving your residential roofing needs for over 33 years, with the owner having over 40 years of experience. 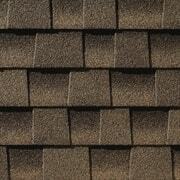 We are a local and family owned Roofing contractor. Arvada Roofing and Weatherproofing is owned by Greg Brayton and he is a native of Colorado. 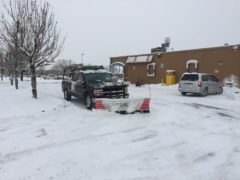 Greg has been servicing roofs for his clients since 1989 in the surrounding Metro Denver area including Littleton, Lakewood, Golden, Arvada, Westminster, Northglenn, Broomfield and Thornton. We are not “Storm Chasers”, the majority of our work comes from referrals. We guarantee our workmanship on new roof replacement for a period of five years. We believe it is important for you to know that we will be here, if you need us! We can repair your existing flat roof, or completely replace it! 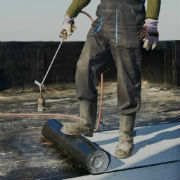 We install Modified Bitumen, EPDM or TPO roofing systems. Our gutter services consist of removing your existing gutters and downspouts and installing new 5" seamless gutters in either Aluminum or steel material. We also offer chop and drop service if you choose to install your new gutters yourself. Gutter cleaning should be done at least once a year. Gutter screen installation for leaf and debris protection. We provide other services including, snow removal, patio decks and fencing.